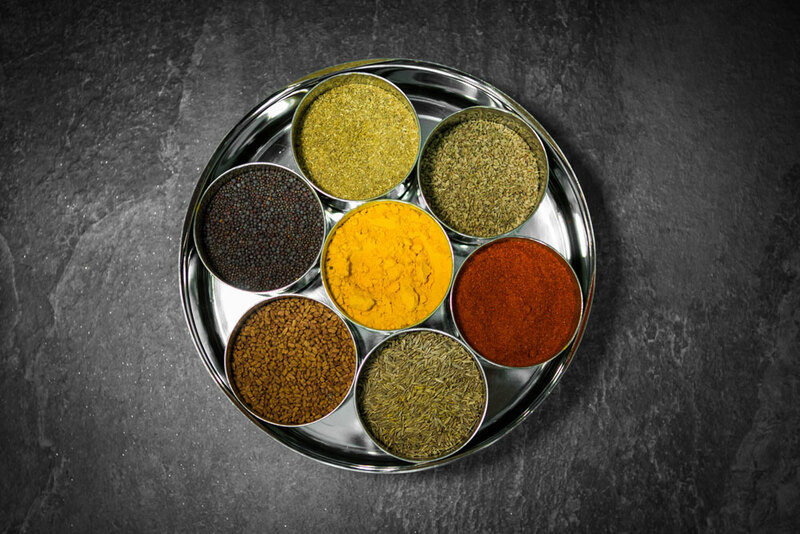 Majority of Indian households will own a Spice-box. This Spice-box will be filled with spices to suit their way of cooking and eating and the recipes and spices they use will have been passed down through generations. My parents gave me this Spice-box when I first left home, 20 years ago (yes I’m THAT old!). I have had the same Spice-box since that day. A Spice-box will contain those spices a cook uses the most often. The container makes it easy to throw in the spices you need whilst cooking without opening up individual pots. I generally keep the stronger smelling spices such Garam Masala, fish masala and ground cumin in a separate airtight container so as not to contaminate the aroma of the more subtle spices.